eG Innovations collaborated with DJ Eshelman, a renowned Citrix Coach, CUGC Leader and a Citrix CTA, to deliver a webinar and share his real-world experience in managing the performance of Citrix digital workspaces. 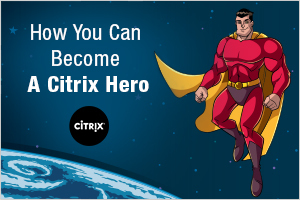 In this webinar, DJ discusses 7 must-know dos and don’ts for Citrix professionals, which will help them unlock their Citrix superpowers and become the Citrix Hero that they aspire to be. Methodology Matters: It’s not just about the Tech! DJ also discusses a real-world scenario wherein he was able to improve Citrix logon times from 90 seconds to 20 seconds just by optimizing the default configuration. Find out the secret behind how he achieved this. 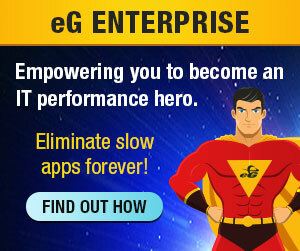 And learn how the eG Enterprise Express Free Logon Simulator for Citrix helped DJ during his consulting assignments to proactively detect logon issues and triage them before business impact. The recording of the webinar is available here. Don’t miss it!